The Hong Kong public can’t nominate candidates for the next chief executive election under the city’s de facto constitution, China’s top official in the former British colony said, rejecting a lawmaker’s proposal. The city’s Basic Law states that candidates for the chief executive position have to be nominated by a “broadly representative” committee, Zhang Xiaoming, director of China’s Liaison Office in Hong Kong, said in an open letter to Alan Leong, the head of the Civic Party. 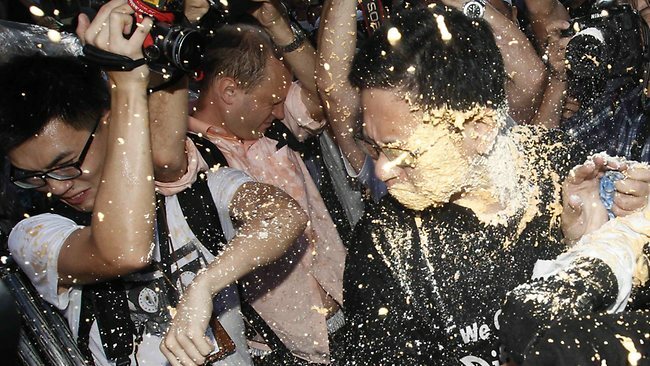 Zhang’s comments are the clearest China has made in rejecting demands from Hong Kong opposition lawmakers to allow for democracy in line with international standards in 2017, when it has pledged to allow election of the city’s leader. Chief Executive Leung Chun-ying, who was picked by a committee of billionaires, professionals and lawmakers, is facing rising calls to start consultation on arranging the vote. “The proper way forward is to follow the Basic Law and the National People’s Congress Standing Committee’s procedures, rather than straying from the law and going the wrong way,” Zhang said in the statement published on the office’s website, as he rejected Leong’s invitation to discuss the proposal at a seminar. Leung said in an interview in June he wants to deliver on the electoral reforms, though increased democracy may lead to China’s refusal to appoint a leader elected by the city’s people. Allowing for a full exercise in democracy in Hong Kong will also contrast with the political system in China, which has been ruled by the Communist Party since 1949. 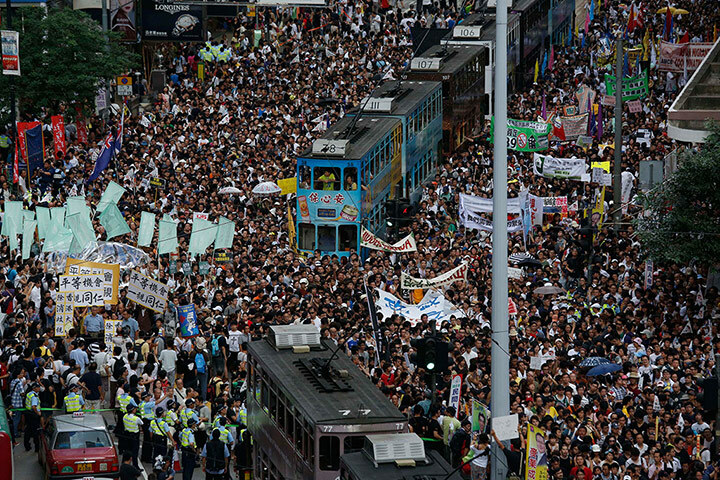 Pro-democracy groups in Hong Kong have suggested options including opening the nomination to candidates who receive support from at least 2 percent of registered voters. China’s “One Country, Two Systems” policy granted Hong Kong its own legal system under the Basic Law for 50 years from 1997. The city allows residents civil liberties including a free press and freedom of assembly not permitted in the mainland. Basically what China’s said was “Anything that is not stated in the Basic Law is not allowed” – Hang on a minute, Basic Law is a constitution for Hong Kong but it was NOT drafted by the people of Hong Kong and we as Hong Kongers have NO right to interpret or amend it but China has. Mind you, Chinese are the experts in moving the goal posts, so no matter what you do or say, they’ll find a way to “win the argument”. Now, the Basic Law didn’t say anything about people of Hong Kong are allowed to breath, eat, drink, etc. We’re all breaching the law! Hurrah! What a whole load of rubbish. By the time they’ve completed their colonisation scheme (with substantial amount of new immigrants in HK who are all CCP members/brainwashed to trust nobody but the party), of course China will have no problem about “giving” Hong Kong democracy and universal suffrage, they’ve got a lot of Chinese voting the way China wants it! Democracy is never given, it’s something that people fight for. Not Only HKers Want Independency!